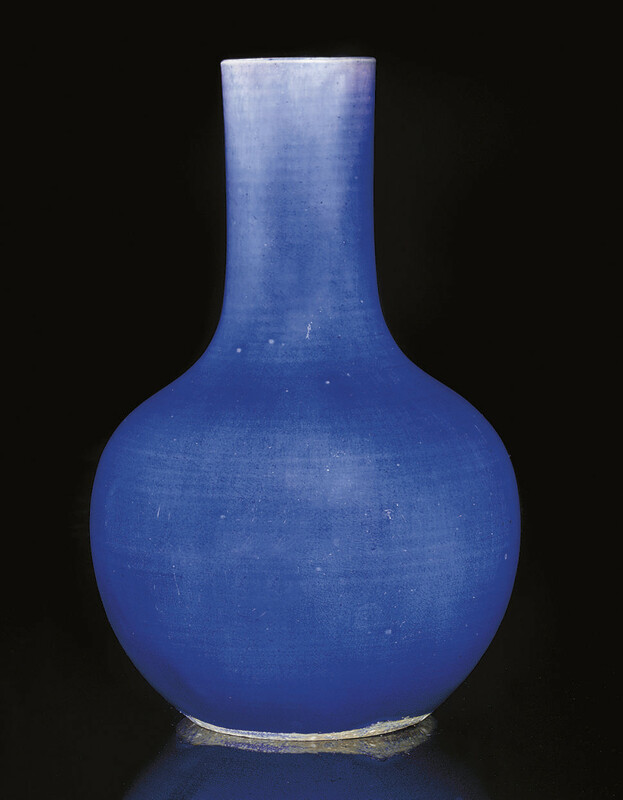 with rounded body and tall cylindrical neck, covered in a deep blue crackled glaze thinning to the rim to pale mushroom colour -- 11¼in. (28.6cm.) high.